In this example form, I've added the link to a special Dropbox folder as the Title of a Line Form Field. When folks click 'upload', they'll be able to select files from their own computer to upload into your public Dropbox folder. I use Custom CSS to style the 'upload' button. I recommend that you also include instructions for folks to uniquely name their files so you can easily distinguish them inside of the Dropbox folder. Note: Dropbox will also prompt them for a "First Name, Last Name" and then prepend that text to the actual file name in your Dropbox folder. People who upload files to your file request cannot access your Dropbox. Only you can view files uploaded by others, unless you decide to share them. Dropbox allows you to create multiple "File Request" folders. So you could make yourself client-specific folders attached to a client-specific form and build that into a password protected page so only the one-designated client could upload to that folder. The Dropbox URL for the Popup must be the one provided to you by Dropbox's File Request feature. So, first you need to follow the "How do I create a file request?" instructions on this page: https://www.dropbox.com/help/files-folders/create-file-request and clicking the 'Copy Link' button gives you the unique, private Dropbox URL for your File Requests. The Code Block should look similar to this, with TWO instances of your URL. For the code to work properly, both URLs must contain no spaces, and there must be no spaces on either side of the URL (between the quotation marks or tick marks - as shown in the image). 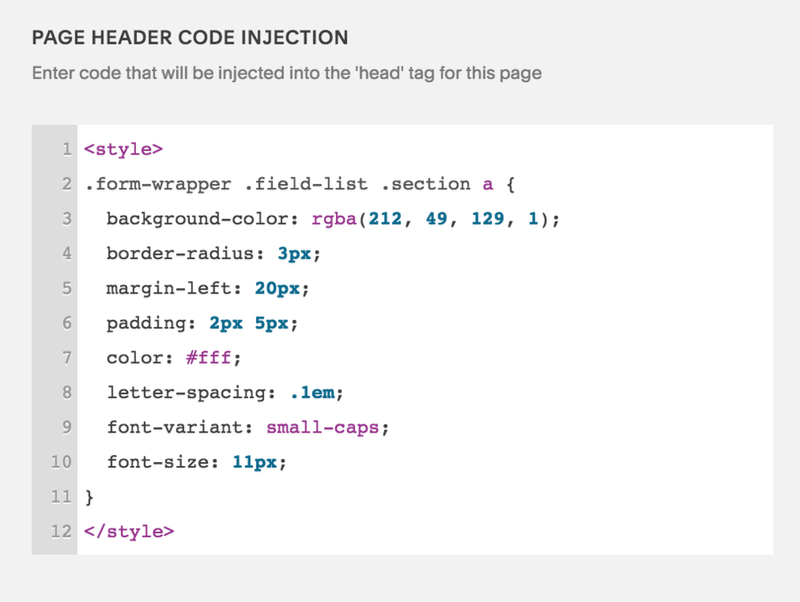 NOTE: For the page where you add this form, go to the page's Settings pane, under the Advanced tab, in the "Page Header Code Injection" panel, add this CSS code. The code must include the <style></style> Tags. Q: I followed the steps on this post and everything worked great except the link. When I click on upload, it takes me to a pop-up and 404 error from DropBox. Any advice on that? For the code to work properly, the URL for the HREF attribute must contain no spaces between the quotation marks. Q: I double-checked the code and there are no typos or spaces. But still, when I click on upload, it takes me to a pop-up and 404 error from DropBox. A: In that case, the error is typically that the correct URL was placed in the code only once. The Dropbox URL must be signed to both the HREF Attribute, and as part of the ONCLICK Attribute (see the above example image).